Goodness me I’ve been extremely lax with my blogging – I do apologise. I hope you’ll forgive me once you’ve tried this beauty! Ok, so this isn’t the healthiest of salads, but it’s bloody gorgeous. 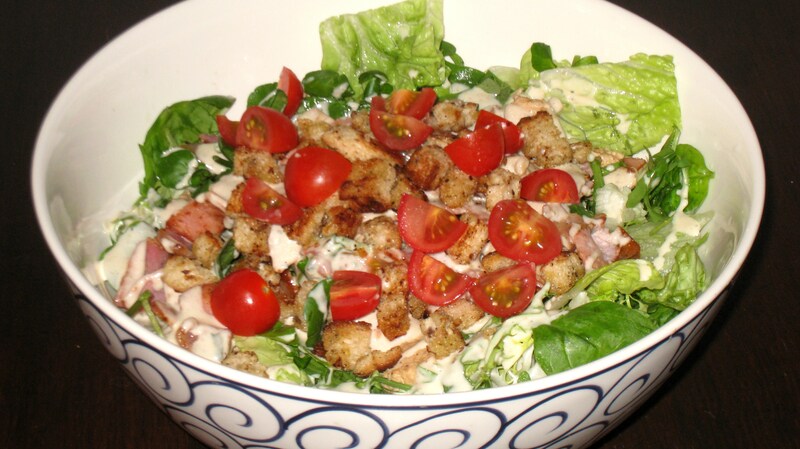 You’ll get your greens and a good dose of scrumptious blue cheese as well! 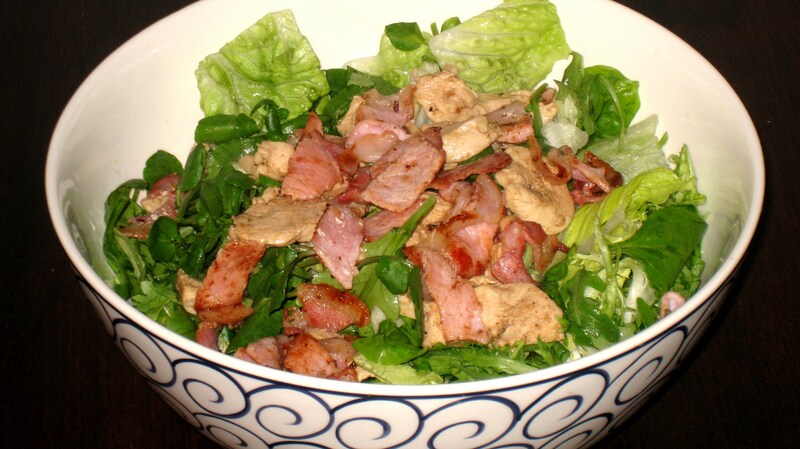 Just love this salad – sooooo not a healthy supper, but with enough salad leaves I almost believed it was. And anyway, it was just yummy. Thanks Bels. You might make a cook of me yet!